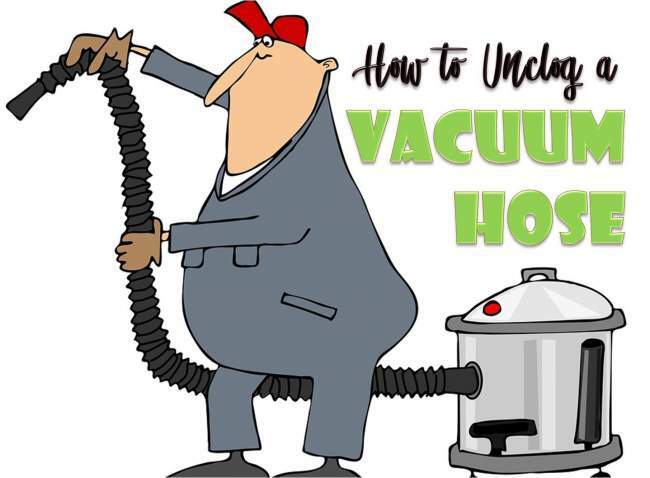 A clogged vacuum hose is a problem all vacuum owners will face at some point. Clogs are normal, and happen with regular use, but are exacerbated by homes with pet hair, excessive dust, and children that track in debris from outside. Luckily, it’s very easy to unclog a vacuum hose. The first step in how to unclog a vacuum is to make sure that’s the actual problem with the vacuum. Diagnose the problem by inspecting the vacuum. Empty or change the bag and clean out the filter first. Now look closely at the brushes and the hoses for clogs. You’ll most likely be able to visually identify the clogged hose. It’s very important to unplug your vacuum before attempting to unclog the hose. Once it’s unplugged, turn the vacuum upside down for your inspection. If you were able to visually identify where the clog is located, start here. You can also detect clogs by poking around with a long object or attempting to drop a small object (like a penny or marble) through the hose. Another area where clogs are common is actually the spot where the hose meets the bottom of the vacuum. You can poke around here with your finger to detect the clog. Now that the clog is located, it’s time to remove it. You can usually do this with your fingers. You might want to wear gloves as this process can be dusty and dirty. If you can’t reach the clog with your fingers, you’ll likely be able to with a long object. The easiest method is to use a broom handle to run through the outstretched hose to push out the clog. Most hoses completely disconnect from the vacuum. It’s far easier to remove hose clogs when the hose is removed rather than still attached to the vacuum. Major issues can easily be prevented with regular maintenance. Inspect your vacuum after each use. Check the bag, filter, hoses, and all brushes for clogs caused by dirt, debris, and pet hair. Preventative maintenance enables you to catch small clogs and blockages before they turn into serious problems.